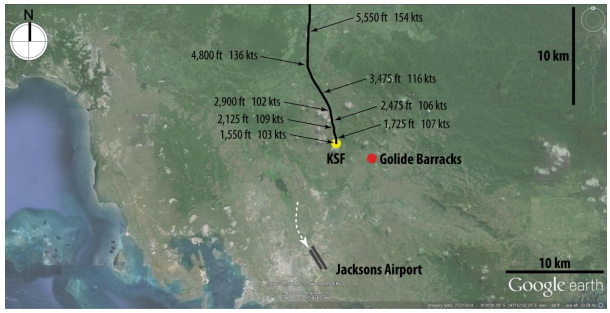 The aircraft came down in wooded terrain near the Goldie River Army Barracks. At the time there were other pilot reports about low clouds and rainy conditions but generally acceptable flying conditions. The aircraft was on a charter flight. 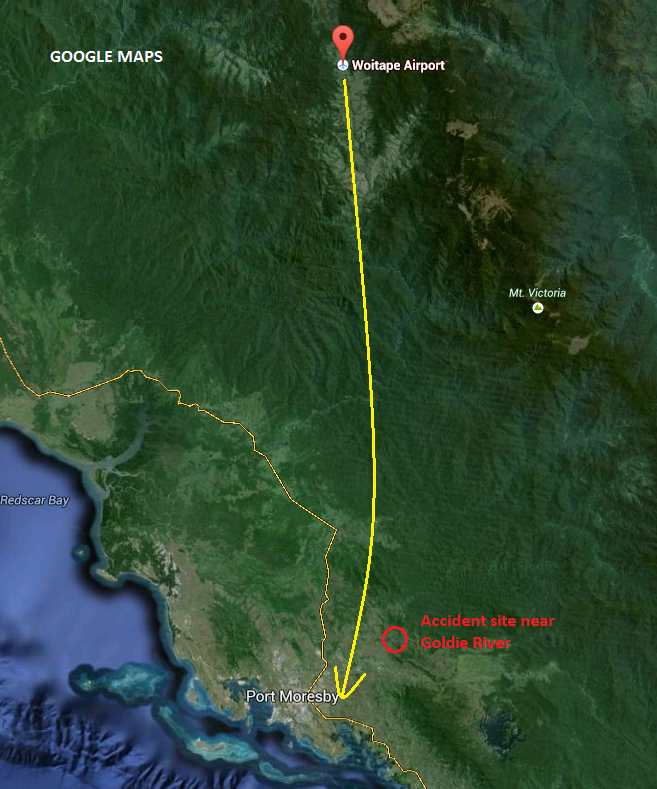 The PNG Accident Investigation Committee has begun an investigation. 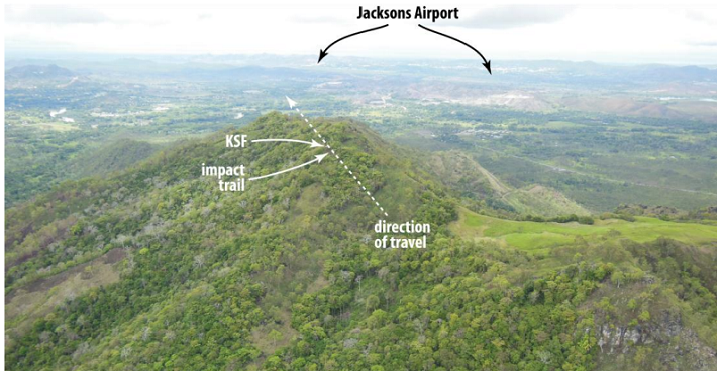 acknowledged each time by the Pilot in Command – as the aircraft approached Port Moresby. traffic control to position the aircraft for an ILS approach. clearance. Shortly afterwards, the aircraft impacted terrain near the summit of Mt Lawes. a) The flight crew continued the descent in instrument meteorological conditions without confirming their position. c) The flight crew deprived themselves of the “Caution” and “Warning” alerts that would have sounded about 20 sec and about 10 sec respectively before the collision, by not deactivating the EGPWS Terrain Inhibit prior to departure from Woitape. The aircraft lost height and crashed on approach to Kiunga Airport, Papua New Guinea killing all eleven people on board.